4150401 D32E-1 KOMATSU D32E-1 Buldozer "D-32" series. Spare Parts Catalog. Service (workshop) Manual. Operator's Instruction Manual. 4150402 D32E-1A KOMATSU D32E-1A Buldozer "D-32" series. Spare Parts Catalog. Service (workshop) Manual. Operator's Instruction Manual. 4150403 D32P-1 KOMATSU D32P-1 Buldozer "D-32" series. Spare Parts Catalog. Service (workshop) Manual. Operator's Instruction Manual. 4150404 D32P-1A KOMATSU D32P-1A Buldozer "D-32" series. Spare Parts Catalog. Service (workshop) Manual. Operator's Instruction Manual. 4150405 D32PX-21 KOMATSU D32PX-21 Buldozer "D-40" series. Spare Parts Catalog. Service (workshop) Manual. Operator's Instruction Manual. 4150407 D37A-2 KOMATSU D37A-2 Buldozer "D-37" series. Spare Parts Catalog. Service (workshop) Manual. Operator's Instruction Manual. 4150408 D37A-5 KOMATSU D37A-5 Buldozer "D-37" series. Spare Parts Catalog. Service (workshop) Manual. Operator's Instruction Manual. 4150409 D37E-1 KOMATSU D37E-1 Buldozer "D-37" series. Spare Parts Catalog. Service (workshop) Manual. Operator's Instruction Manual. 4150410 D37E-2 KOMATSU D37E-2 Buldozer "D-37" series. Spare Parts Catalog. Service (workshop) Manual. Operator's Instruction Manual. 4150411 D37E-5 KOMATSU D37E-5 Buldozer "D-37" series. Spare Parts Catalog. Service (workshop) Manual. Operator's Instruction Manual. 4150412 D37EX-21 KOMATSU D37EX-21 Buldozer "D-37" series. Spare Parts Catalog. Service (workshop) Manual. Operator's Instruction Manual. 4150413 D37EX-21A KOMATSU D37EX-21A Buldozer "D-37" series. Spare Parts Catalog. Service (workshop) Manual. Operator's Instruction Manual. 4150414 D37EX-22 KOMATSU D37EX-22 Buldozer "D-37" series. Spare Parts Catalog. Service (workshop) Manual. Operator's Instruction Manual. 4150415 D37EX-23 KOMATSU D37EX-23 Buldozer "D-37" series. Spare Parts Catalog. Service (workshop) Manual. Operator's Instruction Manual. 4150416 D37P-1 KOMATSU D37P-1 Buldozer "D-37" series. Spare Parts Catalog. Service (workshop) Manual. Operator's Instruction Manual. 4150417 D37P-2 KOMATSU D37P-2 Buldozer "D-37" series. Spare Parts Catalog. Service (workshop) Manual. Operator's Instruction Manual. 4150418 D37P-5 KOMATSU D37P-5 Buldozer "D-37" series. Spare Parts Catalog. Service (workshop) Manual. Operator's Instruction Manual. 4150419 D37P-5A KOMATSU D37P-5A Buldozer "D-37" series. Spare Parts Catalog. Service (workshop) Manual. Operator's Instruction Manual. 4150420 D37PG-2A KOMATSU D37PG-2A Buldozer "D-37" series. Spare Parts Catalog. Service (workshop) Manual. Operator's Instruction Manual. 4150421 D37PX-21 KOMATSU D37PX-21 Buldozer "D-37" series. Spare Parts Catalog. Service (workshop) Manual. Operator's Instruction Manual. 4150422 D37PX-21A KOMATSU D37PX-21A Buldozer "D-37" series. Spare Parts Catalog. Service (workshop) Manual. Operator's Instruction Manual. 4150423 D37PX-22 KOMATSU D37PX-22 Buldozer "D-37" series. Spare Parts Catalog. Service (workshop) Manual. Operator's Instruction Manual. 4150424 D37PX-23 KOMATSU D37PX-23 Buldozer "D-37" series. Spare Parts Catalog. Service (workshop) Manual. Operator's Instruction Manual. 4150426 D38E-1 KOMATSU D38E-1 Buldozer "D-38" series. Spare Parts Catalog. Service (workshop) Manual. Operator's Instruction Manual. 4150427 D38E-1A KOMATSU D38E-1A Buldozer "D-38" series. Spare Parts Catalog. Service (workshop) Manual. Operator's Instruction Manual. 4150428 D38P-1 KOMATSU D38P-1 Buldozer "D-38" series. Spare Parts Catalog. Service (workshop) Manual. Operator's Instruction Manual. 4150429 D38P-1A KOMATSU D38P-1A Buldozer "D-38" series. Spare Parts Catalog. Service (workshop) Manual. Operator's Instruction Manual. 4150431 D39E-1 KOMATSU D39E-1 Buldozer "D-39" series. Spare Parts Catalog. Service (workshop) Manual. Operator's Instruction Manual. 4150432 D39E-1A KOMATSU D39E-1A Buldozer "D-39" series. Spare Parts Catalog. Service (workshop) Manual. Operator's Instruction Manual. 4150433 D39EX-21 KOMATSU D39EX-21 Buldozer "D-39" series. Spare Parts Catalog. Service (workshop) Manual. Operator's Instruction Manual. 4150434 D39EX-21 Galeo KOMATSU D39EX-21 Galeo Buldozer "D-39" series. Spare Parts Catalog. Service (workshop) Manual. Operator's Instruction Manual. 4150435 D39EX-21A KOMATSU D39EX-21A Buldozer "D-39" series. Spare Parts Catalog. Service (workshop) Manual. Operator's Instruction Manual. 4150436 D39EX-22 KOMATSU D39EX-22 Buldozer "D-39" series. Spare Parts Catalog. Service (workshop) Manual. Operator's Instruction Manual. 4150437 D39EX-23 KOMATSU D39EX-23 Buldozer "D-39" series. Spare Parts Catalog. Service (workshop) Manual. Operator's Instruction Manual. 4150438 D39P-1 KOMATSU D39P-1 Buldozer "D-39" series. Spare Parts Catalog. Service (workshop) Manual. Operator's Instruction Manual. 4150439 D39P-1A KOMATSU D39P-1A Buldozer "D-39" series. Spare Parts Catalog. Service (workshop) Manual. Operator's Instruction Manual. 4150440 D39PX-21 KOMATSU D39PX-21 Buldozer "D-39" series. Spare Parts Catalog. Service (workshop) Manual. Operator's Instruction Manual. 4150441 D39PX-21A KOMATSU D39PX-21A Buldozer "D-39" series. Spare Parts Catalog. Service (workshop) Manual. Operator's Instruction Manual. 4150442 D39PX-22 KOMATSU D39PX-22 Buldozer "D-39" series. Spare Parts Catalog. Service (workshop) Manual. Operator's Instruction Manual. 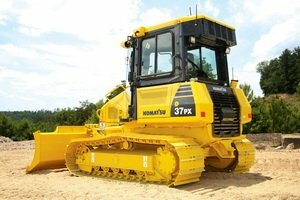 4150443 D39PX-23 KOMATSU D39PX-23 Buldozer "D-39" series. Spare Parts Catalog. Service (workshop) Manual. Operator's Instruction Manual. 4150445 D40A-1 KOMATSU D40A-1 Buldozer "D-40" series. Spare Parts Catalog. Service (workshop) Manual. Operator's Instruction Manual. 4150446 D40A-3 KOMATSU D40A-3 Buldozer "D-40" series. Spare Parts Catalog. Service (workshop) Manual. Operator's Instruction Manual. 4150447 D40A-5 KOMATSU D40A-5 Buldozer "D-40" series. Spare Parts Catalog. Service (workshop) Manual. Operator's Instruction Manual. 4150448 D40AF-1 KOMATSU D40AF-1 Buldozer "D-40" series. Spare Parts Catalog. Service (workshop) Manual. Operator's Instruction Manual. 4150449 D40AM-3 KOMATSU D40AM-3 Buldozer "D-40" series. Spare Parts Catalog. Service (workshop) Manual. Operator's Instruction Manual. 4150450 D40AM-5 KOMATSU D40AM-5 Buldozer "D-40" series. Spare Parts Catalog. Service (workshop) Manual. Operator's Instruction Manual. 4150451 D40F-3 KOMATSU D40F-3 Buldozer "D-40" series. Spare Parts Catalog. Service (workshop) Manual. Operator's Instruction Manual. 4150452 D40P-1 KOMATSU D40P-1 Buldozer "D-40" series. Spare Parts Catalog. Service (workshop) Manual. Operator's Instruction Manual. 4150453 D40P-3 KOMATSU D40P-3 Buldozer "D-40" series. Spare Parts Catalog. Service (workshop) Manual. Operator's Instruction Manual. 4150454 D40P-5 KOMATSU D40P-5 Buldozer "D-40" series. Spare Parts Catalog. Service (workshop) Manual. Operator's Instruction Manual. 4150455 D40P-5A KOMATSU D40P-5A Buldozer "D-40" series. Spare Parts Catalog. Service (workshop) Manual. Operator's Instruction Manual. 4150456 D40PF-1 KOMATSU D40PF-1 Buldozer "D-40" series. Spare Parts Catalog. Service (workshop) Manual. Operator's Instruction Manual. 4150457 D40PF-3 KOMATSU D40PF-3 Buldozer "D-40" series. Spare Parts Catalog. Service (workshop) Manual. Operator's Instruction Manual. 4150458 D40PF-5 KOMATSU D40PF-5 Buldozer "D-40" series. Spare Parts Catalog. Service (workshop) Manual. Operator's Instruction Manual. 4150459 D40PL-1 KOMATSU D40PL-1 Buldozer "D-40" series. Spare Parts Catalog. Service (workshop) Manual. Operator's Instruction Manual. 4150460 D40PL-3 KOMATSU D40PL-3 Buldozer "D-40" series. Spare Parts Catalog. Service (workshop) Manual. Operator's Instruction Manual. 4150461 D40PL-5 KOMATSU D40PL-5 Buldozer "D-40" series. Spare Parts Catalog. Service (workshop) Manual. Operator's Instruction Manual. 4150462 D40PLF-1 KOMATSU D40PLF-1 Buldozer "D-40" series. Spare Parts Catalog. Service (workshop) Manual. Operator's Instruction Manual. 4150463 D40PLL-3 KOMATSU D40PLL-3 Buldozer "D-40" series. Spare Parts Catalog. Service (workshop) Manual. Operator's Instruction Manual. 4150464 D40PLL-5 KOMATSU D40PLL-5 Buldozer "D-40" series. Spare Parts Catalog. Service (workshop) Manual. Operator's Instruction Manual. 4150466 D41A-3 KOMATSU D41A-3 Buldozer "D-41" series. Spare Parts Catalog. Service (workshop) Manual. Operator's Instruction Manual. 4150467 D41A-3 KOMATSU D41A-3 Buldozer "D-41" series. Spare Parts Catalog. Service (workshop) Manual. Operator's Instruction Manual. 4150468 D41A-5 KOMATSU D41A-5 Buldozer "D-41" series. Spare Parts Catalog. Service (workshop) Manual. Operator's Instruction Manual. 4150469 D41A-6 KOMATSU D41A-6 Buldozer "D-41" series. Spare Parts Catalog. Service (workshop) Manual. Operator's Instruction Manual. 4150470 D41E-3 KOMATSU D41E-3 Buldozer "D-41" series. Spare Parts Catalog. Service (workshop) Manual. Operator's Instruction Manual. 4150471 D41E-5 KOMATSU D41E-5 Buldozer "D-41" series. Spare Parts Catalog. Service (workshop) Manual. Operator's Instruction Manual. 4150472 D41E-6 KOMATSU D41E-6 Buldozer "D-41" series. Spare Parts Catalog. Service (workshop) Manual. Operator's Instruction Manual. 4150473 D41E-6K KOMATSU D41E-6K Buldozer "D-41" series. Spare Parts Catalog. Service (workshop) Manual. Operator's Instruction Manual. 4150474 D41E-6T KOMATSU D41E-6T Buldozer "D-41" series. Spare Parts Catalog. Service (workshop) Manual. Operator's Instruction Manual. 4150475 D41E-6 KOMATSU D41E-6 Buldozer "D-41" series. Spare Parts Catalog. Service (workshop) Manual. Operator's Instruction Manual. 4150476 D41P-3 KOMATSU D41P-3 Buldozer "D-41" series. Spare Parts Catalog. Service (workshop) Manual. Operator's Instruction Manual. 4150477 D41P-5 KOMATSU D41P-5 Buldozer "D-41" series. Spare Parts Catalog. Service (workshop) Manual. Operator's Instruction Manual. 4150478 D41P-6 KOMATSU D41P-6 Buldozer "D-41" series. Spare Parts Catalog. Service (workshop) Manual. Operator's Instruction Manual. 4150479 D41P-6K KOMATSU D41P-6K Buldozer "D-41" series. Spare Parts Catalog. Service (workshop) Manual. Operator's Instruction Manual. 4150480 D41PF-6 KOMATSU D41PF-6 Buldozer "D-41" series. Spare Parts Catalog. Service (workshop) Manual. Operator's Instruction Manual. 4150481 D41Q-3 KOMATSU D41Q-3 Buldozer "D-41" series. Spare Parts Catalog. Service (workshop) Manual. Operator's Instruction Manual. 4150482 D41S-3 KOMATSU D41S-3 Buldozer "D-41" series. Spare Parts Catalog. Service (workshop) Manual. Operator's Instruction Manual. 4150484 D45A-1 KOMATSU D45A-1 Buldozer "D-45" series. Spare Parts Catalog. Service (workshop) Manual. Operator's Instruction Manual. 4150485 D45P-1 KOMATSU D45P-1 Buldozer "D-45" series. Spare Parts Catalog. Service (workshop) Manual. Operator's Instruction Manual. 4150486 D45S-1 KOMATSU D45S-1 Buldozer "D-45" series. Spare Parts Catalog. Service (workshop) Manual. Operator's Instruction Manual. 4150488 D50A-16 KOMATSU D50A-16 Buldozer "D-50" series. Spare Parts Catalog. Service (workshop) Manual. Operator's Instruction Manual. 4150489 D50A-17 KOMATSU D50A-17 Buldozer "D-50" series. Spare Parts Catalog. Service (workshop) Manual. Operator's Instruction Manual. 4150490 D50A-18 KOMATSU D50A-18 Buldozer "D-50" series. Spare Parts Catalog. Service (workshop) Manual. Operator's Instruction Manual. 4150491 D50F-16 KOMATSU D50F-16 Buldozer "D-50" series. Spare Parts Catalog. Service (workshop) Manual. Operator's Instruction Manual. 4150492 D50F-17 KOMATSU D50F-17 Buldozer "D-50" series. Spare Parts Catalog. Service (workshop) Manual. Operator's Instruction Manual. 4150493 D50P-10 KOMATSU D50P-10 Buldozer "D-50" series. Spare Parts Catalog. Service (workshop) Manual. Operator's Instruction Manual. 4150494 D50P-15 KOMATSU D50P-15 Buldozer "D-50" series. Spare Parts Catalog. Service (workshop) Manual. Operator's Instruction Manual. 4150495 D50P-16 KOMATSU D50P-16 Buldozer "D-50" series. Spare Parts Catalog. Service (workshop) Manual. Operator's Instruction Manual. 4150496 D50P-17 KOMATSU D50P-17 Buldozer "D-50" series. Spare Parts Catalog. Service (workshop) Manual. Operator's Instruction Manual. 4150497 D50P-18 KOMATSU D50P-18 Buldozer "D-50" series. Spare Parts Catalog. Service (workshop) Manual. Operator's Instruction Manual. 4150498 D50PL-16 KOMATSU D50PL-16 Buldozer "D-50" series. Spare Parts Catalog. Service (workshop) Manual. Operator's Instruction Manual. 4150499 D50PL-17 KOMATSU D50PL-17 Buldozer "D-50" series. Spare Parts Catalog. Service (workshop) Manual. Operator's Instruction Manual.